Godfrey Mwampembwa, popularly known as Gado, is one of Africa’s most celebrated editorial cartoonists. 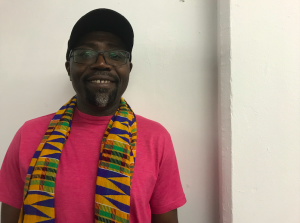 A household name, particularly in East Africa, Gado has also distinguished himself as an animator and TV producer, based in Kenya, whose work often skewers the rich, the powerful and the morally ambiguous. Justice Hub: How would you like to be described? Gado: Gado is fine. I am an editorial cartoonist, animator, and TV producer. Of course, I have been known mostly as an editorial cartoonist, that is probably where I made my name and I´m very fine with that but I do all this. Justice Hub: Why did satire become your métier? Gado: It’s actually interesting because, like many, from my primary to secondary school years I was always drawing and had an interest in it. I knew somehow I would be an artist of some sort, I just did not know I would work as an editorial cartoonist. Even growing up I knew had this voracious thirst for global news, history and geography. I was very keen about world affairs and all that. Justice Hub: So being a cartoonist involves understanding the world? 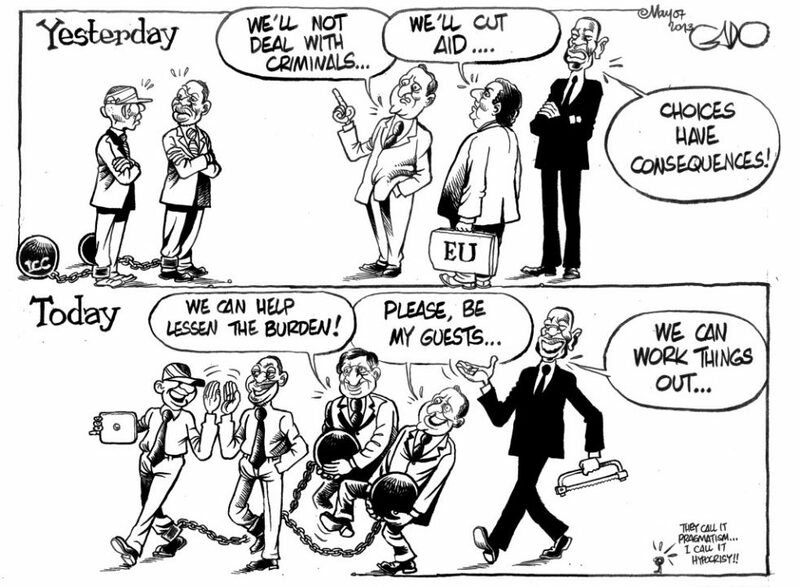 Gado: Exactly. An editorial cartoonist is a form of journalism because you have to know your subject matter. You have to research at times and have to know what´s going on so you have to read as much as you can because that´s how you also get to understand your subjects. 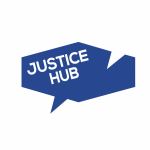 Justice Hub: How do you come up with those ideas? Gado: The joke is always that as a satirist sometimes you have this ability to see the humour in everything. But in reality, frankly, it’s by reading and following the news that you come up with ideas. It’s a brand of journalism that sometimes is also frustrating because it’s not as easy as it sounds. Sometimes coming up with a new idea every day is really hard work. You have to understand and think whether this is going to be published. Sometimes people imagine that satirists probably just wake up and come up with a new idea. No, you work with ideas and sometimes you end up with editors banging on your door because they want you to deliver. It can be quite daunting in that sense. Just like any other profession, I feel I just try to do my best. Justice Hub: What you are probably best known for in this part of the world is your work during the Kenyan trials at the International Criminal Court which included the men who later became president and deputy president. I understand you had a very specific style of drawing them? Gado: I used to draw them with a ball and chain which is a sort of medieval way of representing people who are on trial or before the courts. And the ball and chain represented them – not as guilty men – but them being on trial. Justice Hub: Did that get you into trouble? Gado: It did. I started drawing them like that before they got to power. It didn´t go down well with them – even before they got to power – and understandably so. I continued drawing them that way even when they were in power, and that was probably the problem that they had with me. My editors were told lots of times and I also heard it from my colleagues that they didn´t like my depiction of them that much. And with time the pressure was too much to bear and one time my editorial director just said, as politely as he could, that his was back was against the wall. What I did was actually clandestinely continue doing it, in my own way, whereby I would still go behind my editor’s back and re-introduce the ball and chain. I only stopped when their trials ended and they were sort of let off the hook. I remember drawing a cartoon showing that the chains had come off. But it was all quite trying. As the craft itself, it is always difficult to go against the powerful. They don´t like to be ridiculed. They like to be clapped for. It is always challenging. Justice Hub: Is it tough to be an editorial cartoonist across East Africa at the moment? 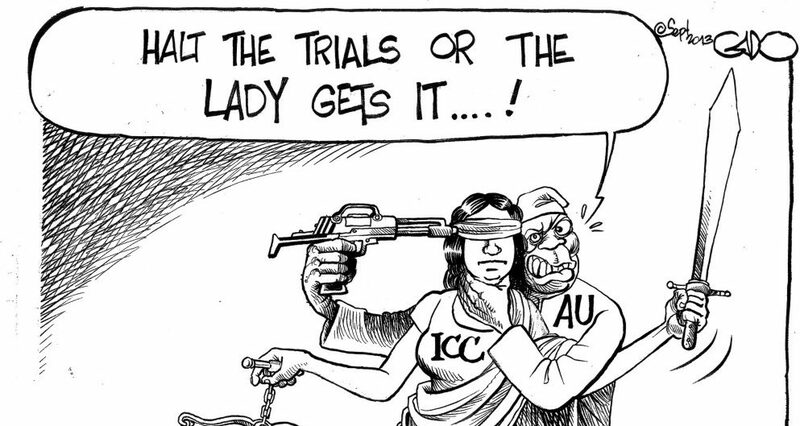 Gado: It is getting tougher. I must say over the last 5 years I have seen that it is getting tougher. But I still think that I am very privileged working in Kenya because, put simply, I can still do what I do. I know that in many countries that would not happen. Not only would there be no newspapers that would publish what I do, but also I know that I would probably have gotten into problems. I have gotten into trouble in Kenya, but I know if I were in any other country my problems would have been bigger. Justice Hub: There are new restrictions in Rwanda on what can be portrayed, and in Burundi, Tanzania and Uganda freedom of expression faces challenges. Gado: All these leaders from these countries have been my target. There´s no question nor secret about that. It is not like I have shied away from any of them. I have done that time and time again. That is always a challenge. Justice Hub: What is the relationship between humour and justice? 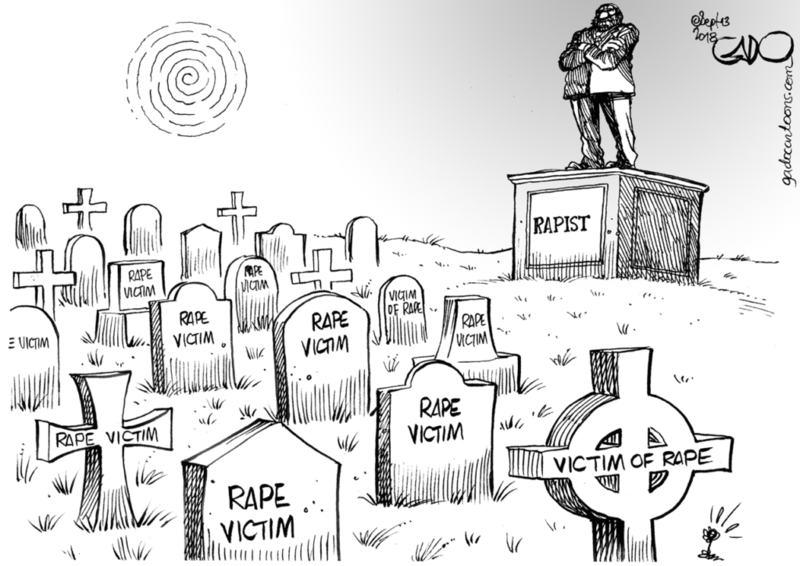 Gado: Humour, in my view, should always side with the victims. That is very important because you use humour as a tool to speak truth to power, to lampoon the powerful and to reduce them to normal human beings or to humble them. It is important that victims take solace from humour as opposed to being attacked by humour, that is probably what I have always done. 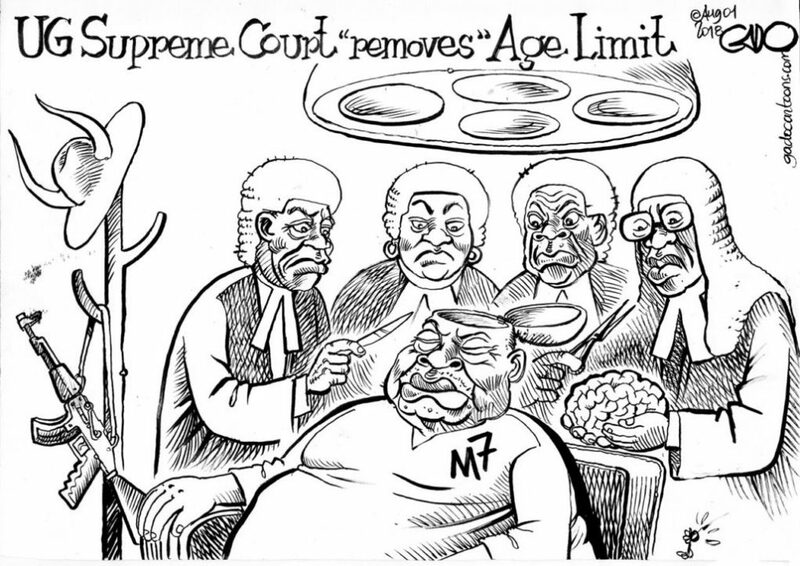 Justice Hub: What´s next for Gado? Gado: Well, I think I need to continue doing what I do. There are plenty of challenges that we have right now. You know what´s going on across East Africa and I think it´s important that we try as much possible to protect the gains that we have had because we have seen that they can easily be eroded. The gains made in fighting for freedom of speech can easily be eroded so it´s important that we maintain these gains whether it is on television or in newspapers.